by James H. Smith, 1882, D. Mason & Co. This a modern reprint by Heart of the Lakes Publishing, date unknown. Cover shows light wear, inside pages are clean. Has been used very little. 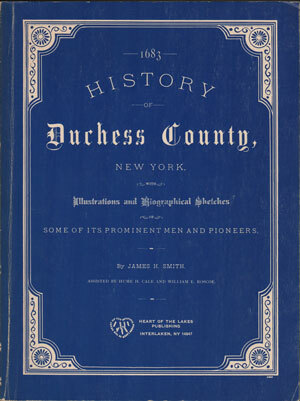 A detailed history of Dutchess County, New York from 1683 until 1882. Includes a number of biographies and illustrations. Soft cover, 592 pages plus detailed 89 page index, large, oversize, heavy book.